Are you an avid collector of books, manuscripts, maps, photographs, recordings, coins, or other materials found in libraries? If so, consider submitting an essay about your collection for a chance to win the 2018-2019 Elmer Adler Undergraduate Book Collecting Prize! Endowed from the estate of Elmer Adler (1884-1962), who for many years encouraged the collecting of books by Princeton undergraduates, this prize is awarded annually to undergraduate students who, in the opinion of a committee of judges, have shown the most thought and ingenuity in assembling a thematically coherent collection of books, manuscripts, or other material normally collected by libraries. This includes a vast array of formats and potential subject areas. For examples, see the various collections that are housed in the Department of Rare Books and Special Collections at Princeton University Library. Past winning essays include those that described collections of photographs, maps, sheet music, and vinyl records, to name a few. 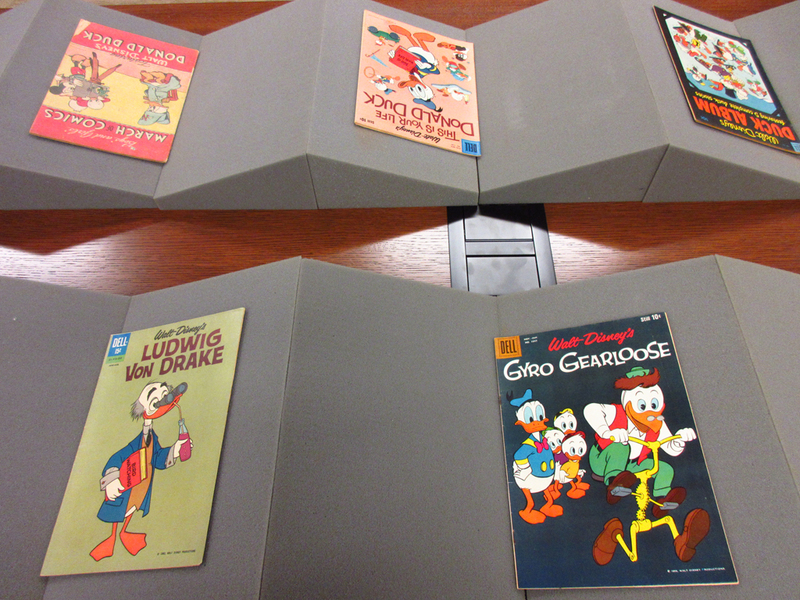 Did you know that the Department of Rare Books and Special Collections houses Walt Disney’s comic magazines and books? They were donated by William Johnson Jones, Jr. ’57, who used his personal collection of paperback funnies to write a daring senior thesis in defense of the controversial format at the height of the anti-comics movement? (This is just an example of what goes onto the library's shelves and into its vaults. You don't need to be a defiant and prescient literacy champion to enter the Adler Prize!) Please note that the rarity or monetary value of a collection is not as important as the creativity and persistence shown in collecting and the fidelity of the collection to the goals described in a personal essay. 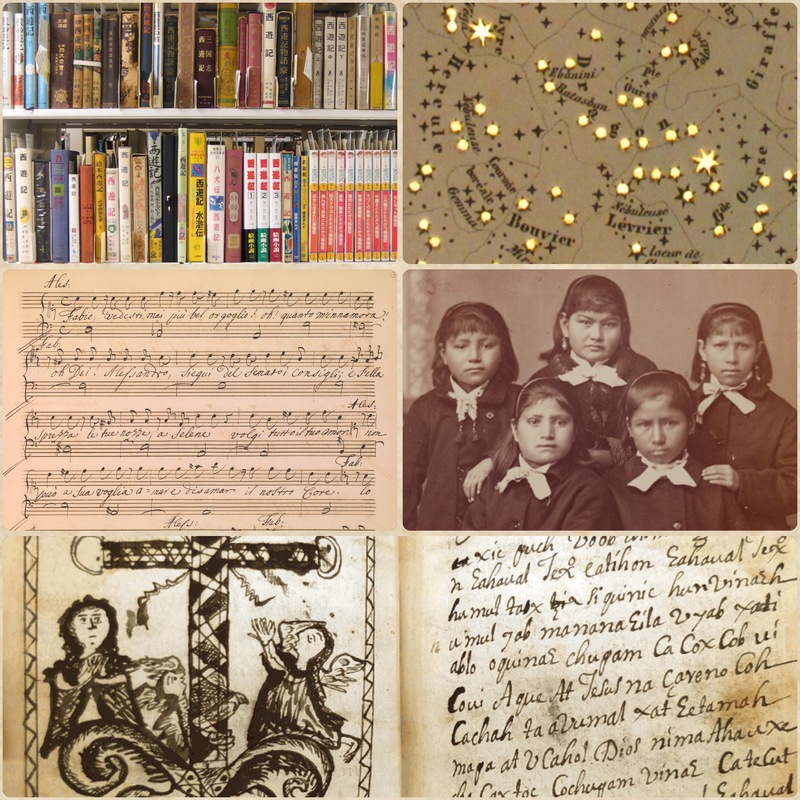 The personal essay should reflect an actively-curated collection rather than merely describe the contents of the student's library. It should articulate the thematic or artifactual nature of the collection and discuss with some specificity the unifying characteristics that have prompted the student to think of certain items as a collection. It should also convey a strong sense of the student's motivations for collecting and what his or her particular collection means to the student personally. The history of the collection, including collecting goals, acquisition methods, and milestones, are of particular interest, as is a critical look at how the goals may have evolved over time and an outlook on the future development of the collection. Essays are judged in equal measure on the strength of the collection and the quality of the writing. Winners will receive their prizes at the annual spring dinner of the Friends of the Princeton University Library, which they are expected to attend. The first-prize essay has the honor of representing Princeton University in the National Collegiate Book Collecting Contest, organized by the Antiquarian Booksellers' Association of America. Please note that per the ABAA's contest rules, the winning essay will be entered exactly as submitted to the Adler Prize contest, without possibility of revision. In addition, the first-prize winner will have the opportunity to have his or her essay featured in a Library-affiliated publication. The deadline for submission is Friday, November 30, 2018. Essays should be submitted via e-mail, in a Microsoft Word attachment, to Minjie Chen, minjiec@princeton.edu. They should be 9-10 pages long, 12pt, double-spaced, with a 1-inch margin, and include a separate cover sheet listing the contestant’s name, class year, residential address, email address, and phone number. In addition to the essay, each entry should include a selected bibliography of no more than 3 pages detailing the items in the collection. (Download the submission template here.) Please note that essays submitted in file formats other than Microsoft Word, submitted without a cover sheet or bibliography, or submitted after the deadline will not be forwarded to the judges. For inquiries, please contact Minjie Chen. Samantha Flitter '16. "The Sand and the Sea: An Age of Sail in Rural New Mexico." Recipient of the 2016 National Collegiate Book Collection Contest Essay Award. Nandita Rao '17. "Of Relationships: Recording Ties through My LP Collection." Bruno Mikanowski '04. "To the Kingdom of Gog: A Map Collection."